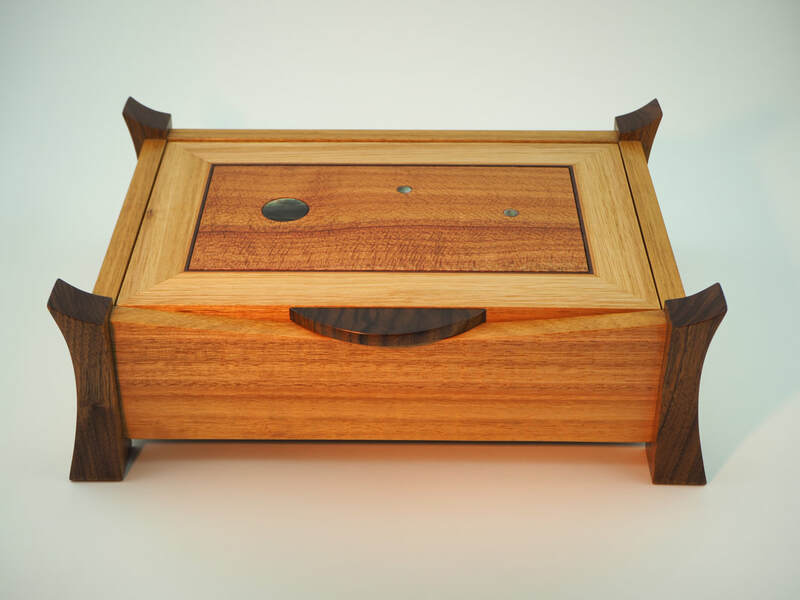 This jewellery box has sculpted sides of recycled Jarrah; the lid has a Totara centre panel framed with Saligna. The inlays are of Lacebark and Mother of Pearl. A sculpted jewellery box in recycled New Zealand Rimu. This box has curved sides of Rimu with corner inlays of Lacebark. Its lid is made from Matai ,Plane and Jarrah within a Rimu frame. The interior Red Beech tray slides to one side to reveal a generous bottom compartment. Finely finished with natural Danish Oil and citrus Beeswax. 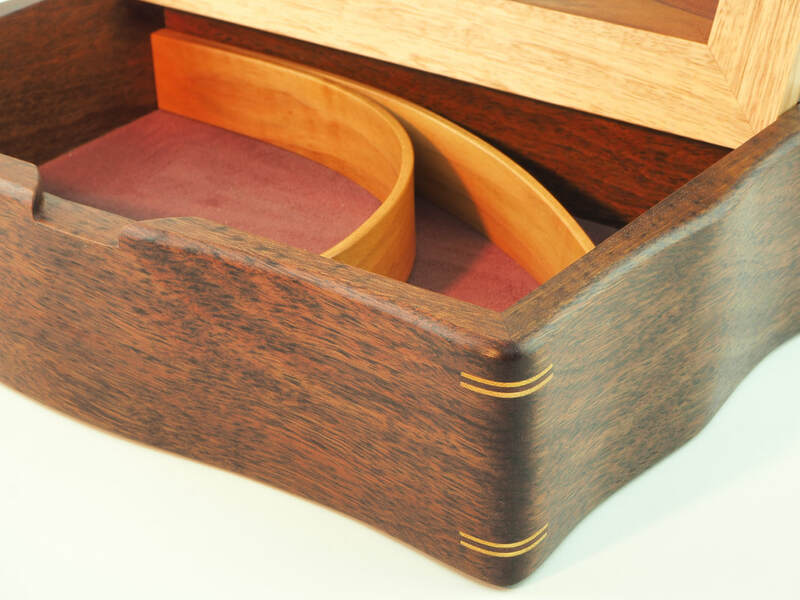 This elegant jewellery box highlights the contrasting colours of its component woods. The bright yellow hues of New Zealand native timber, lacebark, and the rich red tones of plum. Both trees were victims of storms in the Wairau Valley, Marlborough and were rescue by my neighbours. After 3 years of careful drying, they were ready to be crafted into this jewellery box. 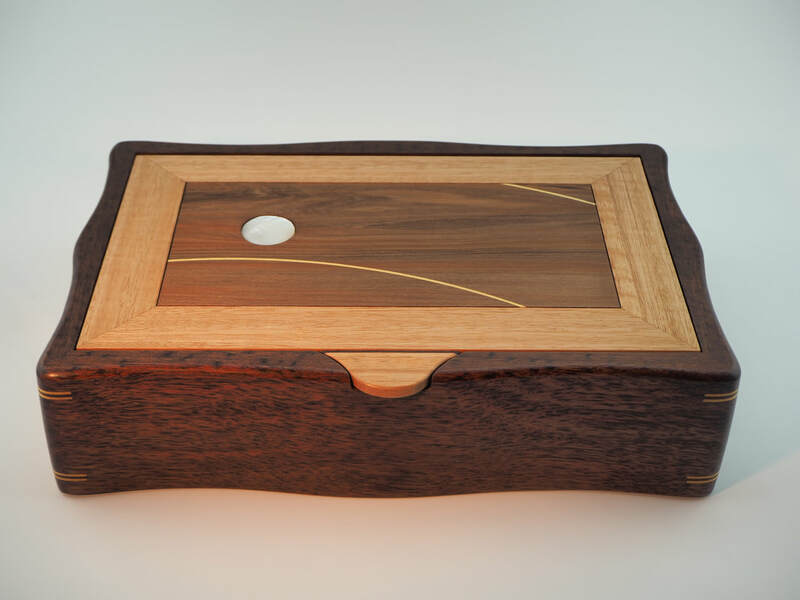 The interior trays are made from rescued walnut. This box is currently displayed at Just Imagine gallery. I made this striking jewellery box for the New Zealand Academy of Fine Arts exhibition, Remake. It highlights the colours and patterns of the recycled heart rimu and the lace texture that gives quarter sawn London Plane its name 'lacewood'. The legs and detailing are in walnut with inlays of glass. 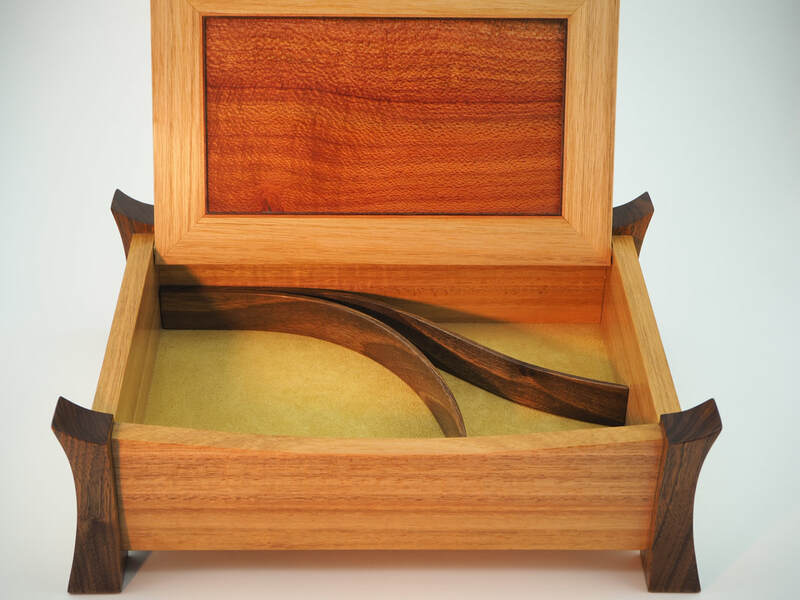 A jewellery box created using recycled matai and totara with contrasting details of jarrah and cedar. It has a single removable walnut tray. 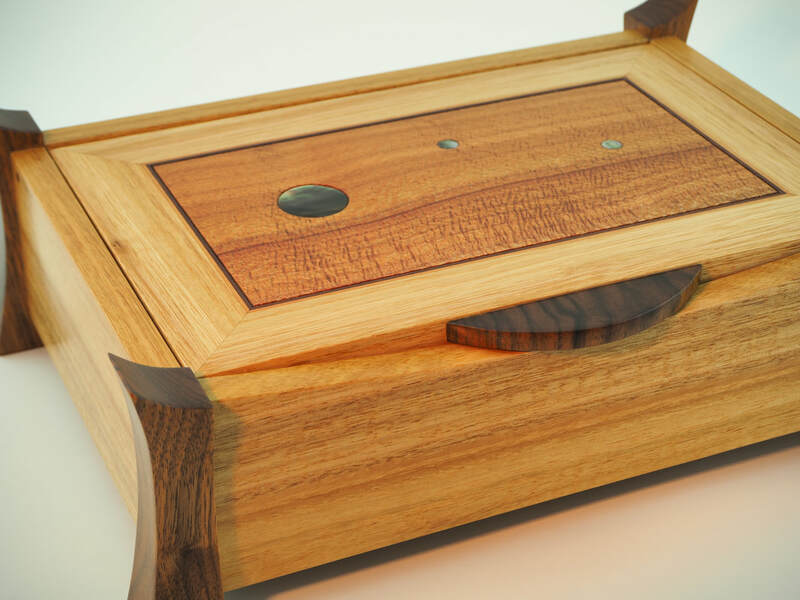 This jewellery box is sculpted from recycled heart rimu. The interior is divided into two lift out trays of rimu and lacebark above a bottom compartment. This sculpted jewellery box, lined with burgundy leather , shows the beautiful colour of matai and the contrasting pale hues of lacebark.